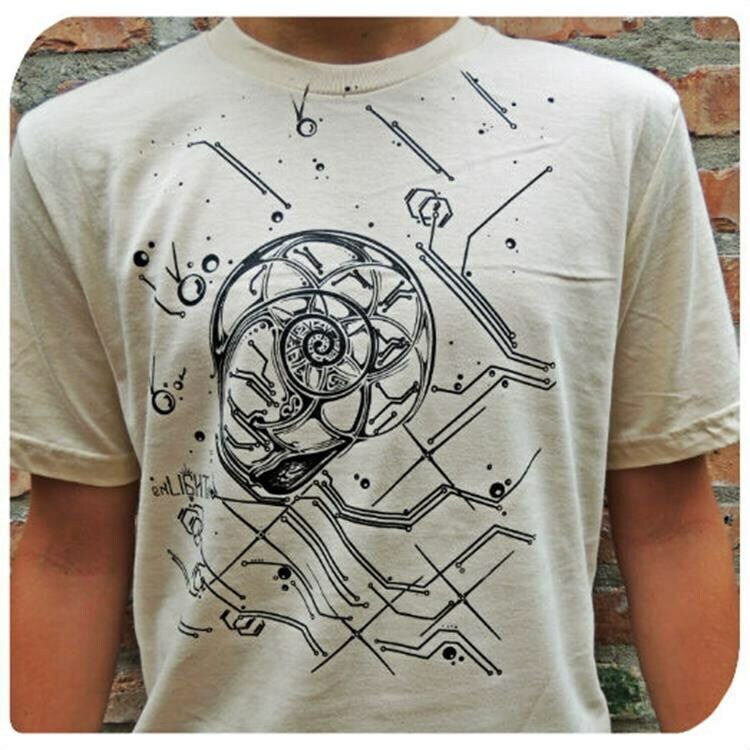 Nautilus Organic Cotton Fibonacci Golden Mean Tee, Artwork by Tyler Epe, Concept By Justin Chamberlain. Hand Drawn And Printed, USA Made. Organic cotton Tee, unisex cut. Black print on a cream colored t-shirt. Design features the nautilus shell bearing the golden mean and inside the shell is a seed of life. A portion of all of our profits goes towards reforestation projects across the country. 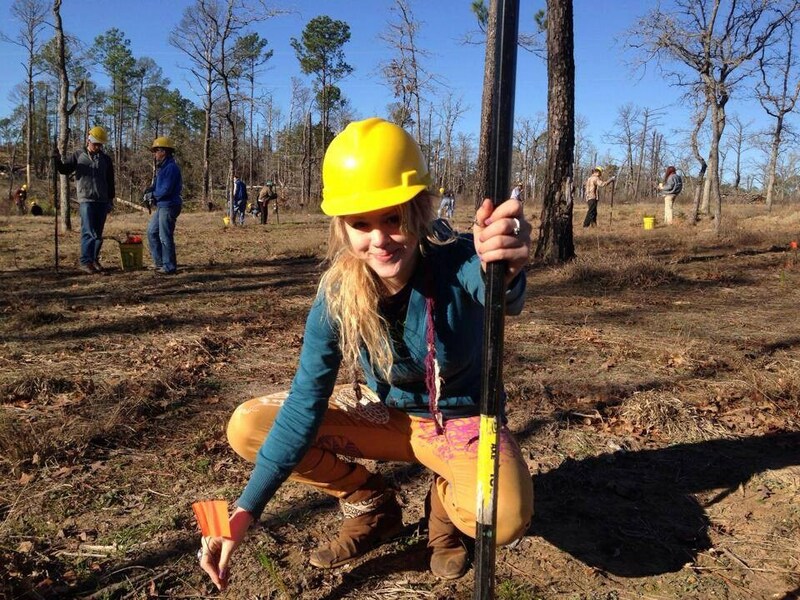 Since we started in 2013 we've already planted over 5000 trees from Texas to Virginia. Together we can make the world a greener more inspiring place. All payments accepted, wholesale available. We ship USPS and please be patient for all overseas orders and orders during the holiday season when mail traffic is high. 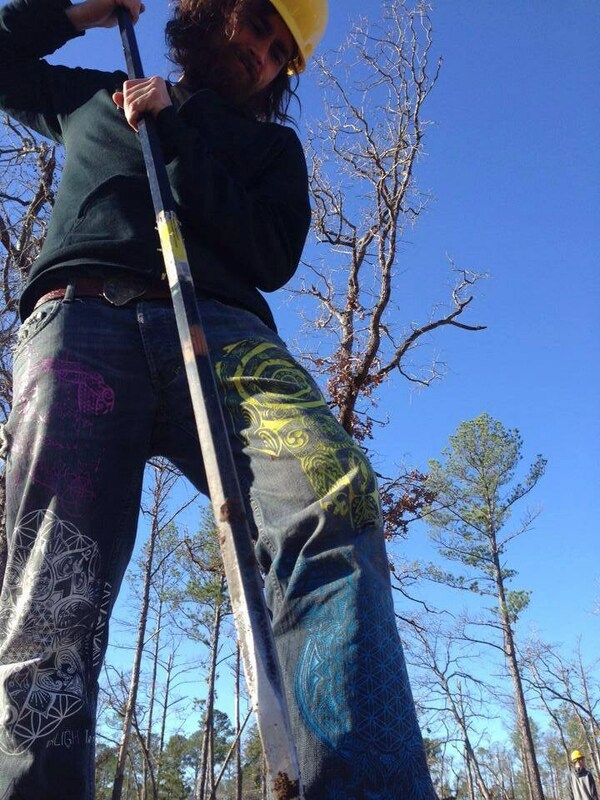 We are a traveling artist collective so also be patient for any order made during the months of April-August because we travel extensively to the music festivals of the US bringing our wares to the people. We are here for you 24/7 if you have any questions! Because we offer free shipping, if you want to return an item, the cost of shipping will be subtracted from the refund amount. If you would like to exchange an item, we will gladly do so after the amount for shipping costs is collected. Any regularly priced item can be returned or exchanged if in PERFECT condition within 30 days of order. No returns or exchanges are accepted for on sale items. No returns or exchanges are accepted for body oils or soaps. Wholesale is available, feel free to message me about any product no matter how small!